The grandly named Patrick Maynard Stuart Blackett was the Cambridge physicist on whose desk Robert Oppenheimer purportedly left a poisoned apple. The veracity of this yarn will likely never be determined, and it’s rather unfortunate that Blackett has been enshrined in the public's mind through this story, most notably by writer Malcolm Gladwell in his book “Outliers”. This selective and sensationalized reporting is unfortunate because Blackett was the one of the most versatile and accomplished experimental physicists of the twentieth century. Not only was he an outstanding scientist who won the Nobel Prize for his research into cosmic rays and particle physics, but he was also a brave and decorated naval officer, a highly successful military scientist who pioneered operations research during World War 2, a vigorous campaigner for arms disarmament, and a writer of clear and engaging books advocating common sense thinking about weapons and warfare. This underappreciated scientist and government official deserves much more recognition than as the recipient of a possibly poisoned apple. Athletic and handsome as a movie star with a finely sculpted face, Blackett saw raw action in the Battle of Jutland in World War 1. Between the war years he worked at the famed Cavendish Laboratory where he did much of his prizewinning work on cosmic rays. 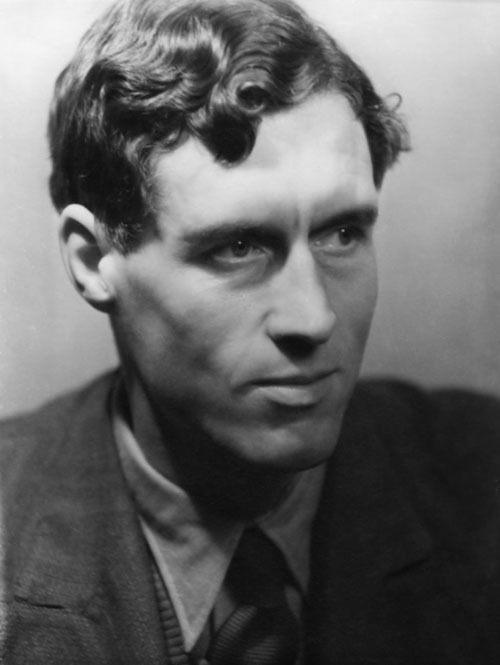 He and his colleague Giuseppe Occhialini discovered the positron (predicted by Paul Dirac) at the same time as American physicist Carl Anderson, but because the two wanted to confirm their discovery and were slow in publishing it, Anderson was the one who received the Nobel Prize for it (although Blackett was awarded his own prize for other work in 1948). The 'poisoned apple' incident emerges from this period. The story goes that Oppenheimer who was unsuccessfully trying his hand at experimental physics and suffering severe mental health problems as a result left the apple on Blackett's table out of sheer jealousy at Blackett's multifaceted personality and accomplishments. Even if the story is true it speaks to the kind of admiration Blackett could evoke. During the war Blackett was one of the founders of the branch of mathematics and management science called operations research. He used this technique productively in trying to protect convoys against U-Boat attacks. After the war Blackett became an enthusiastic and sensible proponent of arms disarmament. As early as 1949 he wrote a book named “Fear, War and the Bomb” which argued against the efficacy of strategic bombing and the lure of nuclear weapons as instruments of warfare. In a time when the atomic bomb was seen as the linchpin of geopolitical strategy, this was a remarkably prescient and courageous position to adopt. Subsequent events have only vindicated Blackett's core thesis. Blackett ended his career as a decorated scientist and public servant, having gathered many honors for his efforts and advice. Fortunately there are at least three books that vividly describe his life and times; volumes by Mary Jo Nye (2004), Peter Hore (2002) and most recently Stephen Budiansky (2013). The experimental physicist must be enough of a theorist to know what experiments are worth doing, and enough of a craftsman to be able to do them. He is only preeminent in being able to do both. Blackett’s words are worth remembering for many reasons. First of all, he emphasizes the wide variety of tools that an experimental physicist needs to be proficient at. In fact Blackett says that good experimental physicists may end up spending most of their time not learning physics but building tools. Most notable among these are tools that are actually not experimental but theoretical. It’s not sufficient for an experimental physicist to be good at building magnetometers, wiring circuits or writing software; she also needs to understand the theory that her efforts are going to test, as well as the limitations of her efforts in validating essential features of the theory. There are a handful of experimental physicists in the 20th century who straddled this boundary with ease. Supreme among these was Enrico Fermi, whose achievements in both theory and experiment were unparalleled. The historian of science C P Snow paid Fermi the ultimate tribute when he remarked that, had Fermi been born twenty years earlier, he could have seen him first discovering Rutherford’s atomic nucleus and then inventing Bohr’s theory of the hydrogen atom. That’s as high as praise can get. However there were other physicists who were also quite accomplished in both domains. One example was Isidor Rabi who knew enough theory to interpret the results of his Nobel Prize winning magnetic beam experiments. Another was Willis Lamb, a student of Robert Oppenheimer whose precision experiments on the energy levels of electrons in hydrogen atoms led to observation of the so-called Lamb Shift. The Lamb Shift was the starting point for a revolution in physics that led to the theory of quantum electrodynamics. In other sciences too it is important for practitioners to understand enough of other tools and ideas to have an impact. Chemistry being a more experimental science compared to physics, it’s especially important for chemists to remember Blackett’s motto. For instance a biochemist might be exceedingly accomplished in setting up assays to test the activity of a drug, but he might likely misinterpret results or not follow up on interesting ones if he is unaware of kinetics, thermodynamics and the principal features of intermolecular interactions. Similarly, a synthetic chemist setting up a reaction needs to be proficient in understanding molecular conformation and the determinants of molecular reactivity. Simply being able to set up low temperature reactions, handle flammable reagents and record NMR spectra won’t be enough. Perhaps the most important message from Blackett’s musings is that one does not need to truly excel in one domain or another in order to excel in their combination. This principle applies to other fields too. For instance Oliver Sacks, while a very good neurologist, was not one of the top neurologists in the world. Similarly, although an excellent writer, he was perhaps not at the very top of the pantheon of prose stylists. But as Andrew Solomon says in his review of Sacks’s wonderful autobiography, what made him truly unique was the fact that he was a very good neurologist who was also a very good writer. It was this killer combination that made him world-class. In this era of highly interdisciplinary research, Blackett’s message should be especially pertinent. With the constant river of diverse data flowing toward us at superhuman speed, it’s probably a bad strategy to try to excel in multiple fields all at once. Instead, just like Blackett’s ideal experimental physicist, it’s far better to aim for being pre-eminent in knowing those fields in the first place, and knowing enough of each to be useful and not dangerous. Unfortunately academic research nowadays rewards the opposite. Professors are most successful when they "brand" themselves,i.e., when you invoke their name when you think about a particular narrow field or technique. Having been successful at the branding exercise some go on to suffer from "when all you have is a hammer" syndrome. Maybe I am wrong, but I cannot think of a single your professor who has been successful as a jack of all trades. Industry still gives the option of a successful career as a generalist, at least in some organizations. Academia - not so much. That is unfortunately largely correct. In fact this reminds me of Sean Carroll's excellent post on how to get tenure at a major research university in which he strongly recommends not trying to become a jack of all trades; no matter how innovative you are, the tenure committee is not likely to look upon what they see as too widely dispersed a set of interests.